Bengal Chief Minister Mamata Banerjee on Tuesday said that the state has been granted Geographical Indication (GI) status for Rosogolla. Rasgulla or Rosogolla is a world famous desert known for its refreshing sweet taste across the globe. Chief Minister Mamata Banerjee took to Twitter to share the news saying, "We are very happy and proud that Bengal has been granted GI ( Geographical Indication) status for Rosogolla." In a unconventional development, Bengal Chief Minister Mamata Banerjee on Tuesday awarded Sweet Geographical Status (GI) status for Rosogolla. Mamata Banerjee took to her Twitter account to share the new saying, “Sweet news for us all. We are very happy and proud that Bengal has been granted GI ( Geographical Indication) status for Rosogolla. Rosogolla or Rasgulla is a sweet famous Bengali dish which is famous across the nation and the world for its sweet, unique taste. Rosogulla or Rasgulla is prepared in different ways in different parts of the nation and comes in many different varieties. 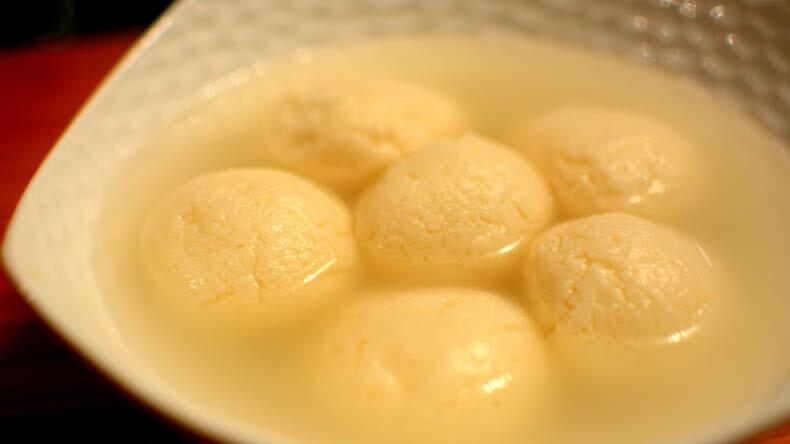 In the Indian subcontinent and regions with South Asian diaspora, Rosogolla is a syrupy dessert popular prepared from Indian cottage cheese also known as Chenna or semolina dough. It is cooked in light sweet watery syrup made of sugar or boora (a type of sweet powder). According to reports, Rasgulla or Rosogolla was originated in east Indian state of Odisha. However, both Indian states, Odisha and Bengal variously claimed that the origination of this sweet dish. The Odisha government previously in 2016 had formed a committee to claim that the spongy Indian desert had its roots in Odisha. While the issue to claim the origination of the sweet desert continued, Bengal government officials according to reports had said that the administration only wished for a tag known as Geographical Indications (GI) to be given to a local variety of Rasgulla called ‘Banglar Rasogolla’. The officials also mentioned that there was no conflict with Odisha on this matter. Further clarifying the matter over claiming of Indian sweet desert, the Bengal government officials had said that they wanted the geographical indication tag to protect the identity of their Rasogolla as their product was different from that of Odisha in terms of colour, texture, taste, juice content and also on the difference between the manufacturing process of it.